Is Pluto A Binary Dwarf Planet? 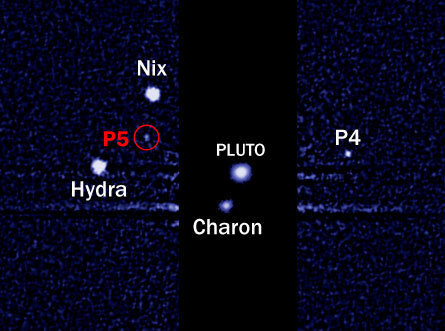 With the discovery by the Hubble Space Telescope of a fifth tiny moon orbiting Pluto, interest continues to mount about this peculiar system. Now, there is a suggestion on Discovery.com that the system is actually a Double Planet with four moons (see the image). 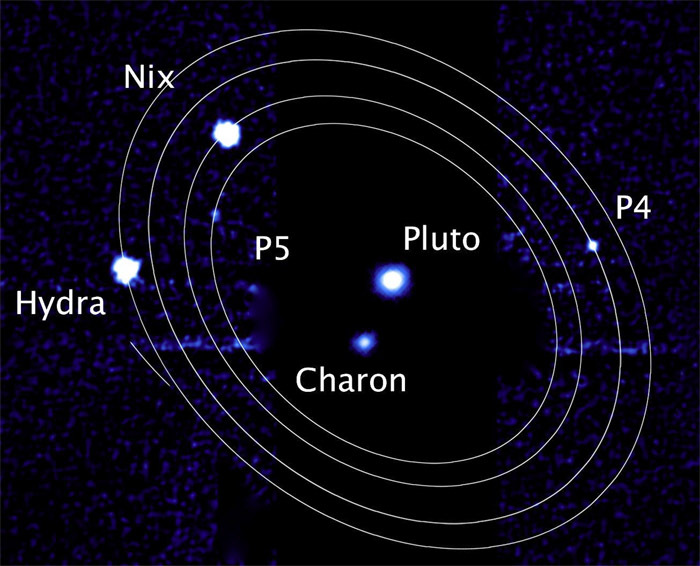 The four tiny moons, all discovered by Hubble in the past seven years, do not orbit Pluto itself. Instead, they orbit the center of mass of the Pluto-Charon system. Charon is 12% the mass of Pluto, and could well qualify as a Kuiper Belt Object (KBO) and is perhaps a dwarf planet itself. Ceres is a dwarf planet in the Asteroid belt, with a mass of 0.000 15 that of Earth. Pluto’s mass is 0.002 2 of Earth, which would make Charon’s mass 0.000 27 that of Earth (more than Ceres). Just announced: Pluto has some company — We’ve discovered a 5th moon using the Hubble Space Telescope! The New Horizons mission to Pluto will cross the 10 AU (Astronomical Unit) boundary around 9:55 PM Phoenix time late tonight (10 February) or 0455 UTC on 11 February. At that time, it will already have traveled 22 AU since its high speed launch on 19 January, 2006. New Horizons is currently clicking off the distance at 34,000 miles per hour (almost 55,000 kilometers per hour), and will encounter Pluto and its moons in July of 2015. Image Credit: NASA / John Hopkins /Dan Durda. Plans for the flyby are well under way – and now, so is an effort to petition the U.S. 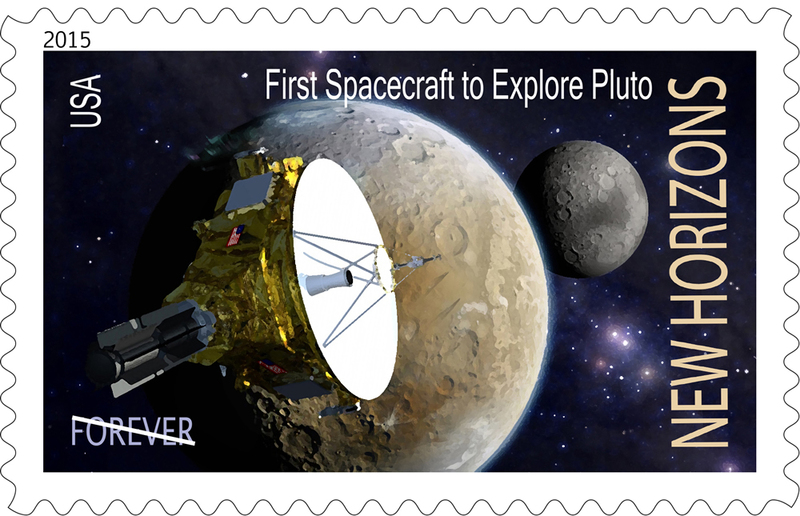 Postal Service to commemorate the historic achievements of New Horizons on a stamp. The mission team launches that petition today, in early 2012, and plans to submit the petitioners’ names and a formal proposal to the U.S. post office knowing it often takes three years or longer for a proposal to result in an actual stamp.